Extensive coverage with both the 3G / NextG & Iridium satellite networks. Ability to add 2-way communication between driver and base (Garmin). City and remote coverage using both 3G / NextG and Iridium satellite communication. 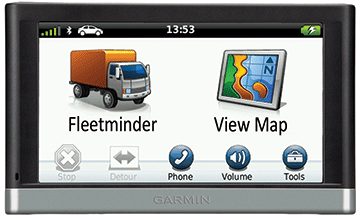 The GARMIN™ screens can be added to provide 2-way base and driver communication. This provides rapid response and support if and when needed, improving driver safety and reducing break down time. Navigation, dispatch and daily routing can be done for either trucks or passenger vehicles providing the quickest route to the destination saving you time and money. 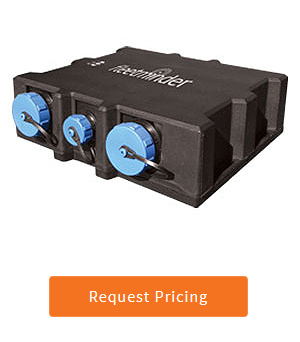 The Platinum series trackers provides you with the freedom to add or remove features and options as your business needs change or grow. Reduce mileage and vehicle abuse. Safeguard your staff and assets. Reporting by SMS or Web. Hands free Bluetooth phone connectivity with phone book and call history.